All of your reports in one place. PlanGrid allowed us to turn around field reports quicker and we were able to find and resolve issues much faster. All of the forms you fill out on a daily basis can be completed and submitted instantly from the field. PlanGrid comes preloaded with commonly used forms or you can upload your own PDFs to fit your needs. Digitizing a paper-based workflow means reports are stored in one place and are easily searchable and shareable. 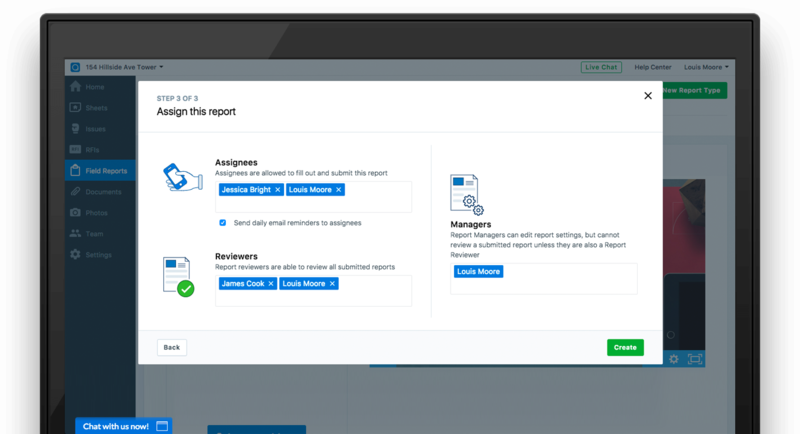 Attach project photos, documents, or snapshots to your reports to give your reports more context. Spend less time compiling reports and their attachments at the end of the day by completing them as you go from your mobile device. Set specific permission levels to control who can submit or review a report. Daily reminders can also be used to keep team members accountable and ensure that reports are filled out promptly. 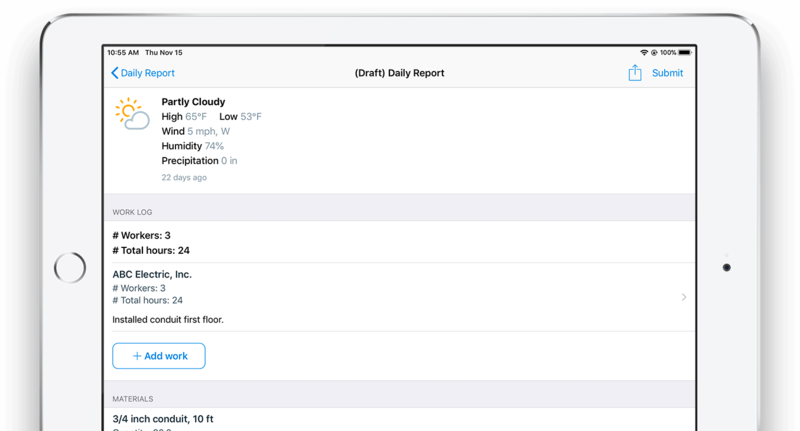 Automatically include weather conditions and log work, materials and equipment. 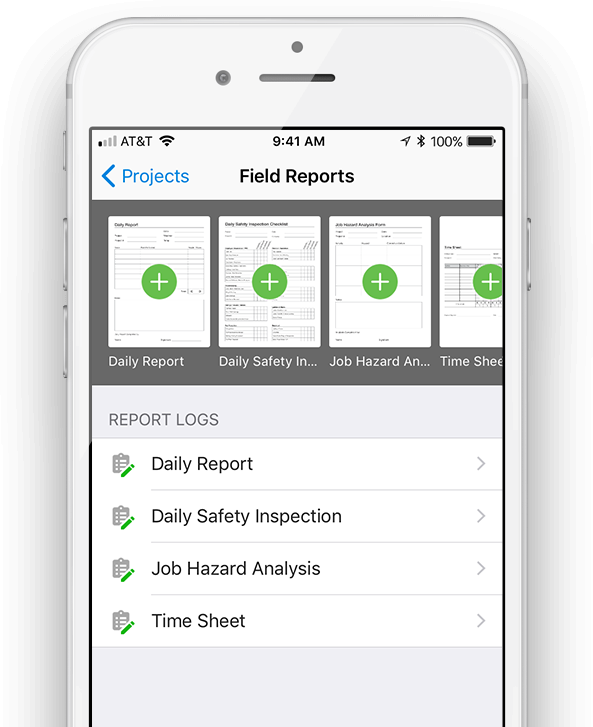 Reduce end-of-the-day paper shuffling by completing your safety reports onsite. Improve jobsite safety by identifying hazards and reducing risk before beginning work.